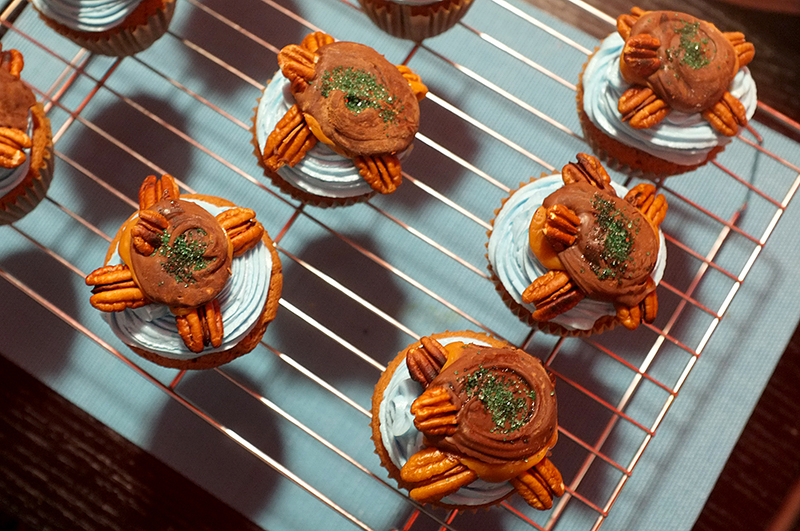 My friend Katie loves sea turtles*, so that’s the theme I ran with for her birthday cupcakes. 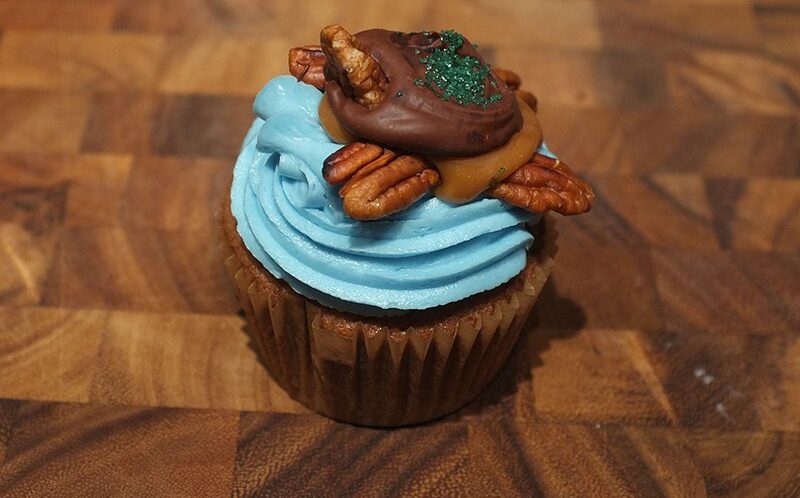 I’d seen cupcakes with gumdrops made to look like turtles on top, but the first thing I thought of was turtle candy, the chocolate caramel and pecan treats that look like turtles. Of course, the candy would need a cupcake base. I decided on chocolate cupcakes with a caramel center. 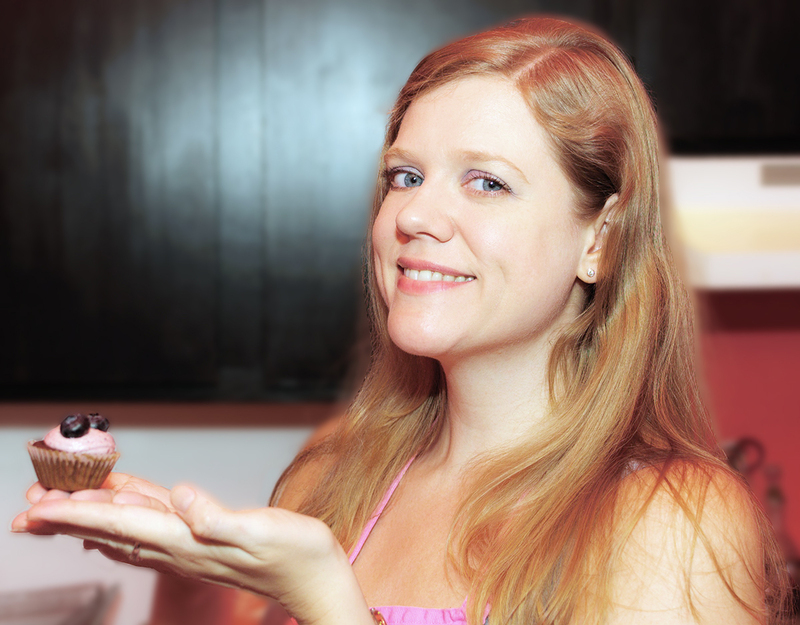 I made the lighter chocolate cupcakes I like, leaving room for the caramel to shine. I confess, I “cheated” and didn’t make homemade caramels. It’s just way too easy to drop an unwrapped caramel candy in the middle of each puddle of batter. When they are baked, you can barely see a sign that they’re in there, but there’s a caramel-y surprise waiting. 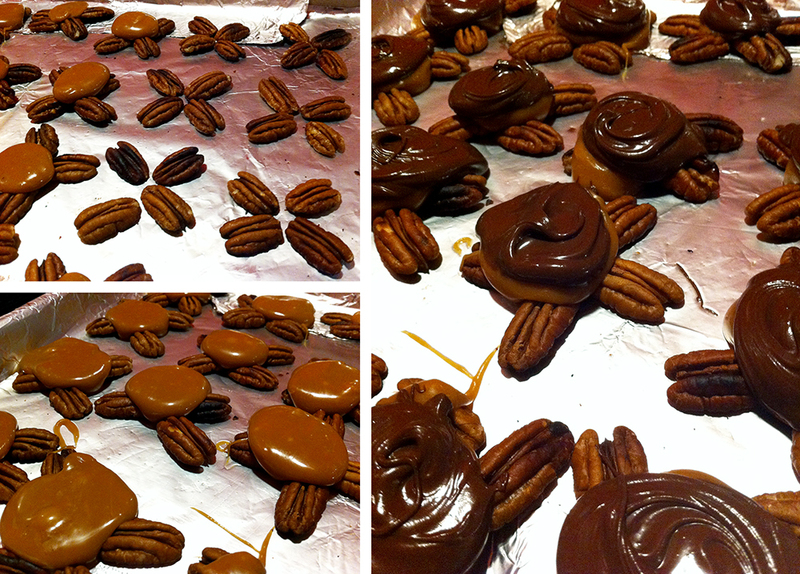 While my chocolate cupcakes baked, I made the turtle candy. I roasted some pecans, arranging them on foil in groups of four for my turtles’ legs. I then dropped a spoonful of melted caramel in the center of each pecan cluster. Next, I swirled on a spoonful of melted chocolate chips. To complete my turtles, I made heads with half pecans and finished with some green sprinkles. Vanilla frosting colored blue gave my sea turtles a place to swim. *Sea turtles are endangered. Learn more about the real turtles and how you can help protect them at www.conserveturtles.org.